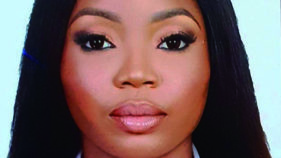 Anita Kouassigan would like to introduce the three female masterminds behind the Yoga Sutra Lagos (YSL) Wellness Month, a series of yoga events in October during which time Investing In Women acted as a media partner. 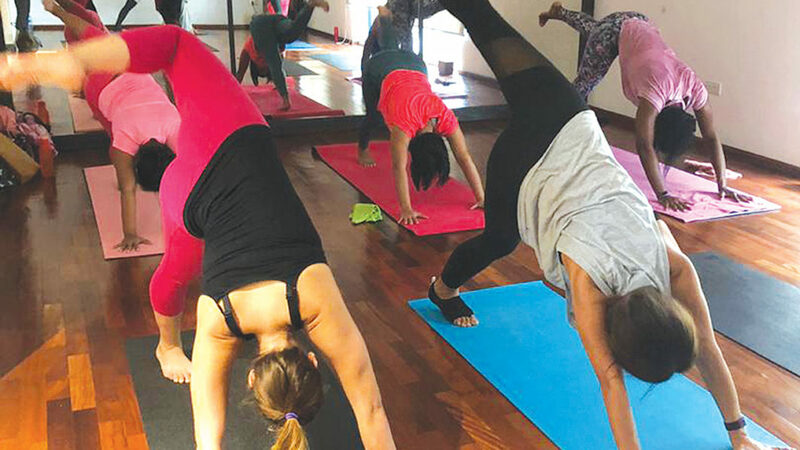 The aim was to celebrate women at their special yoga events that took place in Lagos throughout the month, in collaboration with GAIA Women Club (GAIA). They also had the support of some corporate partners who sponsored their staff to attend their corporate wellness classes, and the purpose of the initiative was to remind us about the realities of breast cancer (with October being the month of awareness), corporate wellness, and self-care. Other themes celebrated were investing in yourself before others, and the importance of women investing in other women. I understand you are the Founder of YSL. Kindly give us your career and educational background. I was born and brought up in Lagos so I spent my primary years in Lagos. I went to school and university in the UK, and studied Education and Psychology. I was a stay-at-home mum for many years bringing up my two boys and doing some educational work with Gabbitas, and worked from home. 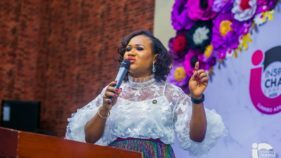 I then went on to become one of the co-founders of the Children’s International School in Lekki. I opened Style Story and Yoga Sutra three years ago, prior to which I was working on developing my brand relationships. My objective was to find a place for people to go where they could be treated graciously, do some retail therapy (Style Story) and have a wellness experience all under the same roof. My husband came up with the idea of the studio actually, telling me that I needed yoga in my life! What inspired you to set up YSL, and what is the full meaning? Yoga was becoming increasingly popular in Nigeria, however, there was no place dedicated to only yoga at that time. I was going through quite an unsettled time, my boys, who I had spent all my time with, were now at university and I felt a void. Although I had done some yoga in the past, I was no expert and looked into the benefits for myself and others. I became determined to create a tranquil space where you could feel happy with like-minded people, do some exercise or even some retail therapy! What we have found is that we have created a community. Our yogis are now friends with each other and are often able to support each through challenging situations. It almost feels like we are all part of an extended family. Yoga Sutra means ‘the thread that binds us together in yoga’, which is exactly what it does. What does wellness mean to you, and what other aspects of the wellness industry do you specialise in, apart from yoga? Wellness to me is making the right choices to keep my body and mind in equilibrium. My husband once said about me that, ‘My wife is busy being a wife and mum, busy with her work, busy being a daughter, daughter-in-law, sister and friend.’ Those words resonated with me. I feel like we are all constantly in a busy state of flux. We now have to make some ‘me time’. If we are not able to fill our own cups and keep ourselves in the right frame of mind then how will we be useful to those around us? My journey in the field of wellness is just beginning. I am being more mindful about a healthier lifestyle and I’m at present in the middle of a course called Upweigh Your Life with a coach in India (@kweigh1). With cancer cases on the rise worldwide, what do you believe women can do to prevent being diagnosed with it? I am not at all a specialist in this field, but I believe stress is one of the many causes. Both men and women should focus on prevention and practices such as making sure you sleep enough (by creating regular sleep patterns) eating a well-balanced diet (more fruit and vegetables) and regular exercise helps. For example yoga is known to get your blood flowing, strengthens your immunity system, helps your circulation and gets more oxygen into your cells. One of the biggest benefits of yoga is that it regulates your adrenal glands, which in turn lowers your cortisol (stress hormone) levels. Generally taking care of ourselves from inside out. Give us a brief summary of the activities you had lined up in October, and were your events well received? October was all about women. Their welfare, their wellbeing and their happiness. We started the month by launching our Women’s Wellness Campaign and requested Towun to be our ambassador since she was the pioneer of such a fabulous women’s initiative, GAIA. We have done weekly workshops on women’s wellness, which consisted of a 45-minute talk and then 45 minutes of Yoga Nidra (restorative yoga), which we have found to be the most amazing detox and release for these women. We have also continued our regular schedule and added a few extra classes. A weekly meditation class has been added, which is also proving to be popular. We always have beginners classes, as its important for those who want to start to ease into it gently. Additionally we have two children’s classes every Saturday, which seem to be very successful. It has all worked fabulously and we have been given very positive feedback. Was this a one-off initiative, or are you planning to continue? This was only the beginning. Our yoga schedule will continue to provide classes to anyone who wants to walk through our doors but, other than that, we are taking on private clients with individualised requirements. In January 2019, we have a series of workshops coming up called Be Your Own Superhero. This workshop will give you an insight as to how to keep a healthy body, an expansive mind, a fulfilled life and indestructible happiness! This is going to be a great start to our annual calendar of events at YSL. Finally, what is your takeaway or the most important feedback from YSL’s October events? Having just completed the first initiative taken on by YSL in this aspect, I have realised that there is so much more information that we need to impart on those who are willing to take this wellness journey. It is important to have constantly open doors with no judgment. Building self-care and mindfulness into our routine is crucial to our wellbeing. Collaborations are the key to our success. It is through such that the word will spread and everyone will benefit. Kindly tell us about your career and educational background. I am a lawyer of 30+ years’ post call. My experience is in Corporate, Commercial Law and Governance in a multinational corporation. During the course of my career, I have worked in the Shipping and Oil and Gas industries as an administrator, lawyer, including three years as a Project Director in the New Business Division in Total HQ Paris. Before taking early retirement, I was the General Counsel, Executive General Manager, Management Services Division (incorporating Legal, Audit, Insurance and Anti-Corruption Compliance) and Chief Compliance Officer for the Total Upstream Companies in Nigeria. In 2016, I obtained a Global Executive MBA awarded by LSE, NYU Stern and HEC (Paris), known as the TRIUM Global Executive MBA. After 30+years in corporate and commercial law practice, I decided that it was time for me to fulfill my passion to open an exclusive space in a secure and serene part of Lagos to help bridge the business connections gap currently experienced by Women in Nigeria. Thus GAIA was born. Tell us about GAIA? Why did you set it up and what are its objectives? 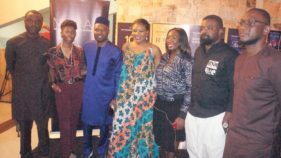 GAIA is a women-only business and social club located in Victoria Island. The Club will be a secure, serene and tasteful business connection and social hub for its members to work, hold meetings, attend business and other seminars and workshops, enjoy quality entertainment, participate in discourse, enjoy a meal, drink, or just relax with a manicure pedicure or massage away from home! While the idea of women-only member clubs is not new, a new wave of modern interpretations of this idea has emerged over the last decade, driven largely by the reality that an increasing number of high-flying women want to effectively balance their job, motherhood and everyday life against a lightning-fast, often harsh city environment. Women around the world want to know that other women relate to their struggles and that their experiences, thoughts and feelings are valid. 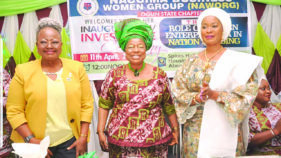 Women in Nigeria are not isolated from this quest to fill the social freedom and connection gap created by the absence of women-only clubs in the country. Prior to doors opening, we have started with the GAIA Business Dining Club (one of the Club’s offerings) primarily for entrepreneurs, corporate and professional women to meet and/or reconnect, discuss topics of mutual interest, enjoy a good dinner, enjoy listening and learning from the guest speaker and from each other. Ultimately, the plan is to align with the GAIA vision by creating an environment for members to grow to know and trust each other enough to collaborate and do business together. When we collaborate, we can do bigger and better! When and how did you become YSL’s Ambassador and what specific role/s did you play during the Wellness Month? I was asked if I would consider being the October Ambassador, and after both Lucia and Suchita explained what it entailed, I couldn’t refuse! My role was to promote wellness and breast cancer awareness and prevention via GAIA’s social media platforms, as well as to encourage participation from some of our dining club ladies at a special GAIA-YSL yoga talk and practice held on October 18. What message do you have for women regarding the importance of their health and wellness? My message is basic, but fundamental. If you’re not making a special effort in this area then start to do so. Eat right, drink lots of water, exercise, and SLEEP!! At least 7 hours. Get to know your body when it’s functioning well so you know when something is wrong. Go and have regular physical examinations, regular cervical smears, the CA-125 ovarian cancer blood test, mammograms (50 years and above). Lastly, watch out for high blood pressure. Remember – before you can take care of others, you must be in good health. What do you believe women can do to prevent getting cancer? I’m certainly no expert here but from what I’ve read it’s really about what goes into our bodies so eating right is essential. Added sugar I am told and I believe, is the one big NO!!! In addition, if any member of the family has had any form of cancer it is important for your GP to have this information so that you get tested appropriately and regularly. Kindly share with us your daily wellness routine. I do my best to drink water once I’m up and also if I wake up during the night. As our bodies are starved of water for 5-8 hours depending on how much sleep we get, drinking water is important first thing in the morning. The ideal is to have some lemon in warm water. Digestive health is important and we need to take time to understand what is going on in that area. I exercise at least three days a week. I love my spinning classes, but also really enjoy yoga and Pilates as they both wake up muscles I have forgotten exist! In a good week, I will do alternate spinning and Pilates/yoga exercise five days in the week. Lastly, and most importantly, I try to eat well. What do you feel attendees got out of this past month of wellness? Have you had any feedback from them? They have had lots of information and advice regarding wellness and their well-being. Those who attended the YSL/GAIA yoga event on October 18 thoroughly enjoyed the talk as well as the yoga practice, and plan to continue with yoga. We have also had lots of positive feedbacks on our posts on social media. What’s your next plan, will you continue as the YSL Ambassador or was it specifically for October 2018? It was specifically for this October. However, we will find ways to collaborate in the future. The subject of wellness is not a passing fad, it is here to stay! Kindly share your career and educational background with us. I studied Politics & Economics (BA University of London). After my graduation I joined The Parthenon Group (‘TPG’), a leading strategic advisory firm with a diverse set of corporate and private clients with offices in Boston (HQ), San Francisco, London, Dubai and Mumbai. I worked at TPG as a Chief of Staff for more than 10 years across all offices. Travelling and discovering new countries and cultures was a part of my job and it grew into my hobby, you could say it became my lifestyle. Presently I manage all activities at the Single Family Office, at a family-owned corporation in the oil and gas space and report directly to the Major Principal. I keep on travelling, and I love it. Yoga is my passion and I love sharing it. As a YSL yoga instructor, what role did you play in getting women engaged with the YSL programme during its Wellness Month? I designed the YSL wellness programme and its activities and worked very closely and tirelessly with Suchita along with Mimo, Daryn and Harish (YSL teachers) to ensure everyone – women and men alike – who walked through our studio doors, were well informed about our programmes. This was with support from Towun, who connected us with our partner companies and women in the corporate world and Munisha, who promoted every activity and event on our social media. I enjoyed facilitating our corporate sessions for women (a 45-minute talk about self-care, self-love and mindfulness followed by 45 minutes of yin yoga and yoga nidra practice). I loved teaching ‘Pink Yoga’ sessions to raise breast cancer awareness, everyone was wearing pink, moving in unison with their breath and music. It was magical and…very sweaty. I collaborated with Mimo and we had so much fun teaching together, the class energy was just incredible. Were you able to achieve your objectives? We still have a few objectives we are working towards which might take time to materialise. We wanted to open YSL to a greater community of yoga practitioners, ranging from beginners to veteran practitioners. We also wanted to guide them in committing to their own personal wellness journey and understanding why this is so important for personal development. We now have many more students and believe that our wellness programme participants and our students, old and new, will commit to developing a healthy lifestyle for themselves, will learn to say NO and delete ‘I SHOULD’ from their vocabulary, stop worrying what other people think of them and learn to love and accept themselves with all their beautiful imperfections. To live a mindful life where we awaken from the dream state and have our minds in the present moment, not worrying about what we are going to do later, or what people are saying about us or stressing about other things. It is worth the effort to live a mindful life, to be present, because being awake, being present means we are not missing out on life as we walk through it. Not being lost in our mobiles and the seductive world of social media. And my final thought that I shared with each group of women attending the programme was that we all have a heart, so let’s be kind, let’s not fight hurt with hurt, unless we want to end up with a big pile of hurt. Let’s use love instead to heal our wounds, it feels better for everyone. As yoga teacher, kindly expand on the health benefits of practicing yoga. What’s the link between yoga and wellness? Yoga practice has many health benefits, but to name just a few: all-round fitness and weight loss, stress relief, inner peace, improved immunity, living with greater awareness, better relationships, increased energy, better flexibility & posture, better intuition. Yoga also offers a strong sense of community. A yoga community is very different from other communities. When you are in a class, you are stripping away layer after layer, and so is everyone else in the room. There is a collective support of where you are and in honouring where you are and who you are, supporting each other. During the corporate wellness month at YSL we focused on Yin Yoga which increases your flexibility, stretches and targets the deep connective tissues between the muscles, and Yoga Nidra which is truly a bliss for your brain. Nidra means dream and the practice balances the nervous system and increases the production of endorphins, the hormones of happiness, and on the other hand helps to lower levels of immunosuppressants, noradrenaline and cortisol. One hour of this practice equals to four hours of natural sleep. And the link between yoga and wellness? The benefits of yoga are the most beautiful wellness benefits. What is your own personal definition of wellness? Movement is a medicine. And wellness is all about balancing your movement and energy, tuning into your own internal compass. We are all unique, so do what feels right. My teaching is passionate, purposeful, empowering, and consumes a lot of my energy so I need to self-regulate to ensure I don’t burn out. Don’t let anyone make you feel any guilt when you feel that something doesn’t feel right. I know that I have too much fire in my body and I need to release it before I can ‘chill’ hence I run a lot, I practice and teach dynamic vinyasa flow and I love to practice and teach with some energising tunes and then some restful tunes at the end of the class. I need to sweat it out first before I can relax. What feedback did you receive from your yoga students and the companies you partnered with in October? The feedback was very positive from each corporate group and our regular students alike. Without a doubt, we will continue to build on what we have done this month at YSL. We are committed to bring more wellness, more yoga and more mindfulness into your lives in Lagos! It seems we all practice some type of self-care and self-love but often not in a deliberate way and we are hoping to encourage our students to commit to developing a healthy lifestyle. I believe if you don’t make wellness and self-care a part of your life you will eventually be forced to, therefore, my advice is ‘just do it’. How do you plan to encourage more women to inject more health and wellness into their weekly routines? I am delighted with the exposure that this programme has given to YSL. We have more students coming to the studio, more people calling and making enquiries about the type of yoga we teach. I am confident we have the best yoga teachers in Lagos. We are different, unique and authentic. We teach six different styles of yoga and every Saturday we have two classes for children (ages 5 – 13). We have 20 classes per week and our teachers are available for private sessions. When you are ready to join our yoga community and start your yoga journey with us, call us! We are here and ready for you!